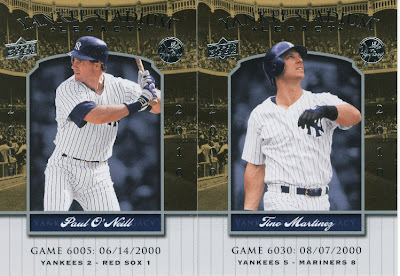 In a blog from last week I told everyone that my local K-Mart had a big sale on 2008 products, and that I had picked up among other things a 2008 Goudey blaster for $10.99. Since my pillowcases and blanket are still in the dryer I decided to break it because I can't go to bed anyway. I decided to see if I could tell if any packs felt differently than others so if I did I could save that pack for last. They all felt exactly the same to me, what do I know. 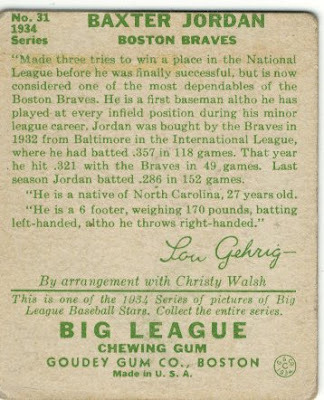 1934 Goudey Original Buyback of Baxter Jordan of the Boston Braves. My expectations of this blaster were not very high, I figured maybe a GU card at most and bought it mostly for Yankee Stadium Legacy and the chance at an auto. Not in a million years would I have expected to pull a buyback that only came one per case (at least that's what I remember when we opened ours). I'm happy even though I have no idea who he is. I'm not really sure what I plan on doing with all these base cards since I don't need any of them. I was thinking of sending them out for TTM's when I decide to actual follow through on sending any, or maybe I'll trade some for cards I want. I do know that I now desperately want to go back to K-Mart, but lightning doesn't strike the same place twice which is why the last Heritage blaster I bought was the one with the Mat Gamel auto /60. Holy crap. That's an amazing hit. Nice job. I'll be at Kmart TODAY! Wow. WOW! Who would have thought that would show up at K-Mart. Great pull. How comes my K-Mart isn't part of the bargain blaster universe? 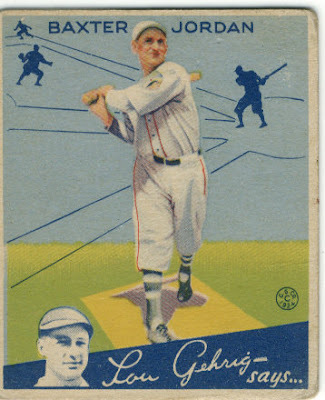 nice vintage Goudey that rocks! 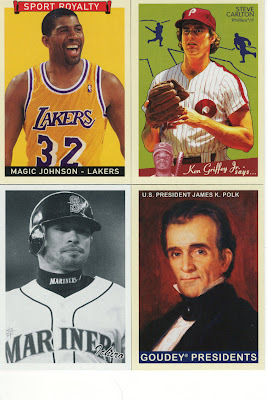 If one thinks 09 Goudey is U-G-L-Y ugly would they buy a bargain blaster a year from now?? Wow. That's just about all I can say. In a blaster?!?!? Holy cow! The card is actually in really good condition which amazed me even more. I don't know what I am going to end up doing with it, but I like it for now. I need to drive to this K-Mart. I should verify that that was a damn of excitement. Awesome pull! LOVE that Goudey buy back! Duane- Let me know if you need any, I will put them aside. I agree - wow! Thanks for the post. I'm going to go to the K-Mart as well. K-Mart still has cards! Wow! Even the Wal-Marts areound me are starting to phase out their card isles. My Mojo must have worn off on you Marie LoL. Insane pull. If that pack was A lottery ticket you would be a Millionaire no doubt. At the risk of railroading from that unbelievable buyback, if the Ichiro B&W is for trade, I'd be interested. Nice!! 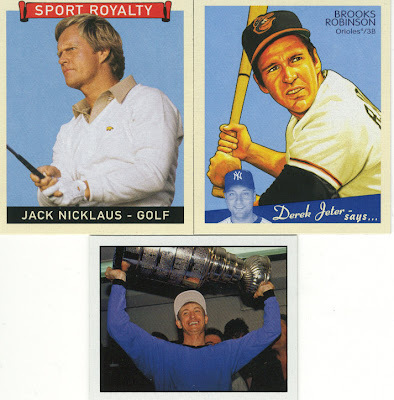 A case hit in a bargain blaster!! Congrats! !